(NationalSecurity.news) In nearly every case of insider espionage there are “warning signs” that a betrayal is about to take place, and that was also true in the case of former NSA contractor Edward Snowden. But his agency, along with the CIA, missed them, according to a recent assessment. As reported by the Free Beacon, a declassified congressional study made public this past week found that both agencies missed warning signs regarding Snowden, a disgruntled employee who stole 1.5 million secret documents. Snowden, who fled to Moscow after publicizing some of the documents through left-wing journalists, also “has had, and continues to have contact with Russian intelligence services” and voiced admiration for China during his brief career at the CIA and then NSA. A declassified and redacted report by the House Permanent Select Committee on Intelligence concluded that Snowden’s actions resulted in the Obama’s administration’s most damaging intelligence failure. The report concluded that intelligence documents disclosed by Snowden “caused massive damage to national security, though all the examples of how he specifically harmed national security were redacted, the Free Beacon noted. The committee’s findings “demonstrate that the public narrative popularized by Snowden and his allies is rife with falsehoods, exaggerations and crucial omissions, a pattern that began before he stole 1.5 million sensitive documents,” the report said. Snowden was described as a “serial exaggerator and fabricator” who intentionally lied about his past in order to promote himself to senior positions and gain greater access to secrets. However, the report includes new disclosures that security officials at both CIA and NSA failed to recognize that Snowden was likely to betray the government’s trust and disclose significant U.S. intelligence capabilities that have been lost or restricted as a result. 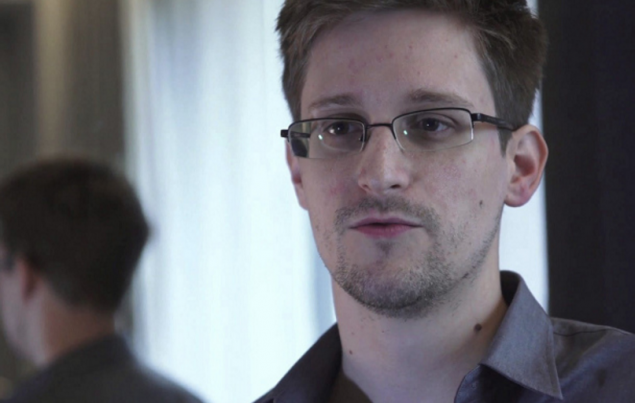 For example, NSA security officials failed to conduct a routine check of Snowden’s educational background. Had they done so, NSA would have learned that Snowden had dropped out of high school in his sophomore year, yet falsely stated on his resume he had graduated from “Maryland High School” in 2001. There is no high school in Maryland with that name. Snowden also was granted a “top secret” security clearance in 2005 despite an associate warning security investigators he should not be given access to secrets. Snowden was hired as a computer technician by a CIA contractor and converted to CIA employment in 2006 after obtaining a security clearance. While at CIA, he complained of harassment by a supervisor. He was posted overseas, but was relieved of his position after altering CIA software improperly and disobeying orders. Snowden then applied for work at NSA and was hired by an NSA contractor in 2009. However, the report revealed that CIA failed to update a security database with derogatory information about Snowden. As a result, NSA failed to learn of his problems at CIA before hiring him. We have never believed that Snowden was some “hero” who was acting in the country’s best interests. That he disagreed with certain intelligence programs may have been true to a point, but stealing then exposing ultra-secret intelligence-gathering technology and methods did nothing but harm national security and the very same American citizens he claimed to be defending. What’s more, theWashington Post and The Guardian, which published those details, should have been held liable as well. These details revealed the core of our intelligence operations, right down to the methods used to gather data–methods developed over the course of years, and at no small cost to the taxpayer. There is also the fact that Snowden signed a non-disclosure agreement, and that is not something that intelligence agencies take lightly (nor should they). Snowden did not stop the U.S. intelligence community from functioning; it continues its work today, humbly and in the shadows, working to stop the kind of carnage Berliners witnessed just this week, as well as a thousand other potential threats ranging from terrorism to nuclear war. And Snowden made that job much more difficult, while handing our adversaries invaluable information about the manner in which our intelligence agencies function. If you don’t think enemy intelligence agencies have benefited from that information, you’re not being serious. This congressional report proves what we have believed all along: That Snowden harmed our national security, that he did it on purpose, and that he’s a traitor, not a hero. How Many Foreign Elections Has The USA Interfered With Over The Last 50 Years?